Happy New Year again! If you didn’t quite reach your January new year’s resolution, here is a second chance. The Chinese New Year has just begun and the two-week celebration allows for another opportunity to create a plan for the Year of the Pig. I love pigs. I even had a pet pig! Many people see the pig as fat and lazy. But this is balanced out by the fact that the pig behaves well and brings wealth. I will take my cues from the pig’s tendency to behave well as my motivation to bring me wealth – of health. 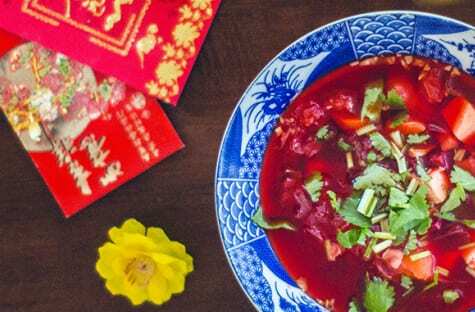 I like using Chinese New Year as my fresh start because there is a little recovery time from the holiday hubbub and I feel more energized to meet my goals for the year. February is also the month of love, so love yourself a little and start fresh. Chinese New Year and Valentine’s day are represented by my favorite color: red. Red is abundant during the Chinese New Year, symbolizing good fortune, joy, good luck, and happiness. I am fortunate that the Chinese New Year is celebrated for 2 weeks. This gives me great joy to be able to use this time to deep clean not only my home but also to cleanse and detoxify my body. It is not luck that my body has more energy afterwards and this brings me much happiness! I have many different cleanse and detox protocols that will help to boost your energy. Make a resolution to schedule an appointment and we can figure out what is best for you. Chinese New Year and Valentine’s day have their temptations with those beautifully red color sweets. Instead of artificial colors, consider using beets for color and for natural sweetness in treats such as beet red velvet cupcakes, beet cookies, beet cashew cake, beet sour cream popsicles, beet ice cream, or beet icing! You get the idea. Beets provide natural colors and flavors, and numerous health benefits. In Traditional Chinese Medicine, beets are considered to be cleansing to the liver, improve blood circulation, and calm the mind and spirit. Just remember that since beets are one of the vegetables with the highest sugar content, keep daily portions to about a cup to avoid a negative effect on blood sugar. Learn about the best health benefits of beets, a beautiful and healthful alternative to artificial colors and flavors! If you don’t like beets but like some of the benefits, don’t fret. I recommend N.O.max™ ER which is an extended-release nitric oxide precursor. You may order from this link https://www.xymogen.com/ and enter the code wangah. Wishing the Year of the Pig to be the year of good behavior that brings you good fortune, joy, good luck, happiness and excellent health!